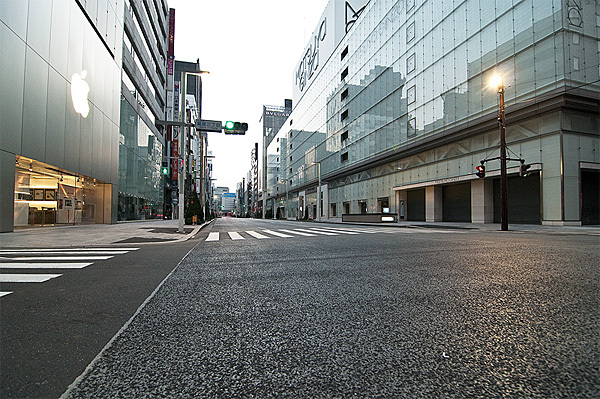 Ginza is one of Tokyo's premier shopping districts, meaning it's almost always packed with people. To get this post apocalyptic looking shot I had to be there before the trains started running, which meant staying all night. It took a bit of waiting too as there were still random people about even at 4:30 in the morning, but i managed a few photos during a brief lull in car and people traffic, just as the sun was rising.